They are all available to download and read for free on the Caine Prize website. We are excited to announce that this year Africa in Words will be part of what Aaron Bady has described as a five week ‘blog-carnival’ around the shortlisted stories. Aaron is a PhD student at the University of California, Berkeley who blogs at The New Inquiry and for the last two years has coordinated a conversation across the ‘blogosphere’ week-by-week on a designated story shortlisted for the prize. 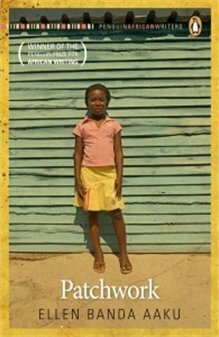 From the end of May, and in the run-up to the winner being announced in early July, Africa in Words (and lots of other blogs – email Aaron if you’d like to take part!) will be posting a review or comment piece every week on one of the shortlisted stories each by a different contributor (some regular, some new). Supporting James English’s claim that prizes are ‘perhaps the most ubiquitous feature of cultural life’ (The Economy of Prestige, 2005, p2), prize news for African writing in English seems to be everywhere at the moment. At the end of April (appropriately after her stunning performances at 2012 Kwani? 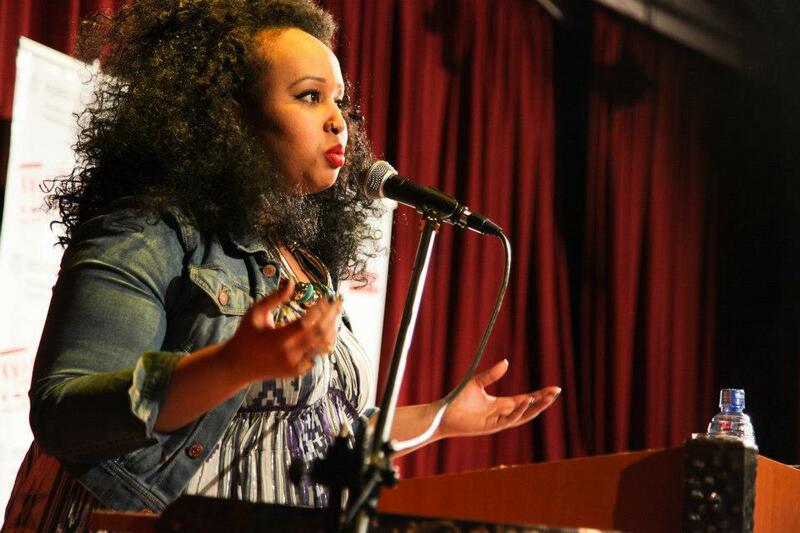 Litfest) Warsan Shire was announced as the inaugural winner of the Brunel University African Poetry Prize and last week E.E. Sule (Nigeria) and Julian Jackson (South Africa) were announced as the regional winners of the Commonwealth Book and Short Story Prizes respectively. As an Associate Editor for the Kwani? Manuscript Project, I’m currently on tenterhooks awaiting news from our judges with the shortlist and winners of the prize to be announced next month. James English has argued that when it comes to literary prizes, scandal and debate about their value are very much part of their ‘normal and proper functioning’ and the way in which they accumulate journalistic or cultural capital. These concerns and interventions about the ways in which the cultural value of anglophone African writing circulates via literary prizes are something that will be discussed in the context of the of the winner of the Kwani? Manuscript Project and the imminent announcement of the winner of the Caine Prize as part of a panel at the Africa Writes festival this year. 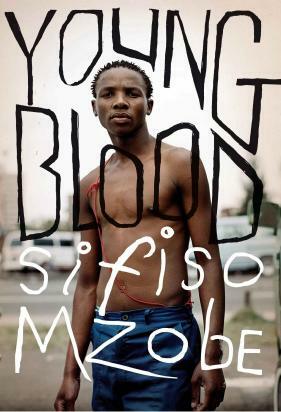 Africa Writes will take place at London’s British Library from 5th-7th July 2013. Africa in Words will be previewing the programme (with more details about the panel on ‘African Literature Prizes and the Economy of Prestige’) and showcasing some of the writers appearing before too long. With literary prizes everywhere and on my mind, for me Binyavanga Wainaina (winner of the Caine Prize in 2002) got to crux of the issue when talking about the Caine Prize in a recent article for the London Review of Books blog saying: ‘The thing is: it’s a nice thing to submit, £10,000 is an excellent thing to earn, it’s always nice to go to England but it’s far from being at the centre of where production, debate and conversation is going on, right? It’s a good thing but it isn’t the thing.’ I recently discovered Indiana University’s African Literary Awards Database which lists 268 literary prizes. Although by no means all of these are still active (the Penguin Prize for African Writing was only awarded in 2010, the Noma Award established in 1979 hasn’t been awarded since 2009), it shows the debate about ‘prizing’ African literature should never be limited to a conversation about the Caine Prize and the Kwani? Manuscript Project. Just back from a recent trip to Lagos, I was struck that the literary awards most frequently mentioned in conversation were the Wole Soyinka Prize and the Nigeria Prize for Literature. The biennial Wole Soyinka Prize was established in 2005 by the Nigerian writer Ogochukwu Promise and is looking for ‘the best literary work produced by an African’. The prize’s major sponsor is the Nigerian telecommunications company ‘Glo’ and the winner receives $20,000; as of 2014 the prize will alternate between considering prose (2014), poetry (2016) and drama (2018). Set up in 2004, the yearly Nigeria Prize for Literature aims to ‘honour the best book by a Nigerian within the last 4 years’ and was won in 2012 by Chika Unigwe for her novel On Black Sisters’ Street. The award of $100,000 is funded by Nigeria LNG, a liquefied natural gas producing company, and unsurprisingly this too has attracted ‘scandal and debate’. This is of course just a snapshot of what is happening in one of 55 African countries but, with the Nigeria-heavy shortlist of this year’s Caine Prize, the landscape of literary prizes in Nigeria seems a particularly relevant reference point. So back to the Caine Prize, it is a ‘good thing, but it isn’t the thing’, and yet conversation about whether it is or is claiming to be ‘the thing’ is important and will still continue. The prize has undoubtedly played a significant part in shaping the production and reception of post-millennial African writing in the UK and beyond, and this needs to be recognised and explored critically. While these conversations continue, the prize also continues to showcase some fantastic writing and to make that available for anyone to download, read and have an opinion about. Bady’s ‘blog-carnival’ has created an opportunity in some ways to reclaim the critical space of the prize away from a judging panel and an Oxford dinner. Conversations and opinions about the stories in the ‘blogosphere’ have arguably started to circulate more widely across Africa and beyond than the comments of the judges. This is something Africa in Words is excited about being part of, and if you have an opinion after reading this blog – read the stories and join the conversation too. James F. English, ‘Winning the Culture Game: Prizes, Awards and Rules of Art’ in A Twentieth Century Literary Reader: Texts and Debates, eds. Suman Gupta and David Johnson (Abingdon: Routledge, 2005), pp 243-260 (p. 246). Looking forward to AiW joining the blog party! Also, lots of discussion about this at Franschhoek Literary Festival 13: the prestigious (South African) Sunday Times Fiction Prize shortlist was announced there on Sat night (which you can watch unfolding via BooksLIVE at http://bookslive.co.za/blog/2013/05/21/video-sunday-times-fiction-prize-and-alan-paton-award-shortlists-announcement/ ) – more new South African novels to read! and a debut-heavy list too – and conversations that returned again and again to gender and the possibilities of literary prizes actually subsidising writers to write at the FLF ‘Literary Prizes’ panel, with the UK’s Kate Mosse (co-founder of the Women’s Prize for Fiction, formerly the Orange Prize), in discussion with Michele Magwood and prizewinners Tan Twan Eng (whose ‘The Garden of Evening Mists’ won the 2012 Man Asian Literary Prize and was shortlisted for the Booker in that same year), and Finuala Dowling, whose poetry and fiction has been awarded numerous times, with prizes from and by South Africa (her first poetry anthology, ‘I Flying’, 2002, won the Ingrid Jonker Prize; she has also won the Sanlam Award for Poetry and the Olive Schreiner Prize. Her novel ‘Homemaking for the Down-at-Heart’ won the 2012 M-Net Literary Award, English category). Hi Katie – the countries represented in entries was 16, not 10. Thanks. Really sorry Lizzy – 10 was a typo, it read 16 in my head. I’ve amended it now to read ‘from 16 African countries’ and can’t apologise enough for the error. The whispering trees is in my ‘to be read’ pile: looking forward to reading the comments.